Started in 2016, Jackpot Strike Casino is a new entrant in the highly competitive online gambling market. 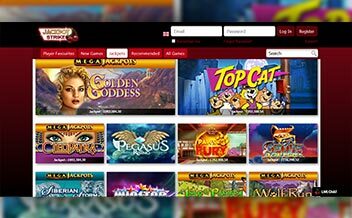 The Casino is owned by Nektan Limited Casinos and offers an assortment of slots from developers such as NetEnt, NextGen Gaming, Microgaming, IGT, among others. However, the Casino trustworthiness is questionable as they promise to charge you reasonable administrative fees without outlining what reasonable entails. 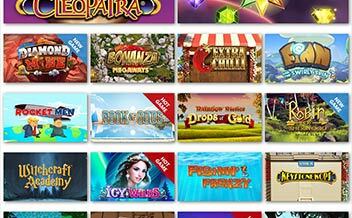 Jackpot Strike is an entirely instant play Casino with a vast selection of online Casino games. The Casino has a mobile version that allows players to enjoy their favorite games while on the move seamlessly. The Casino also has a live dealer section, maintains a strict client information protection protocol, and has a professional customer support team. With a minimum deposit of £10, first-time players enjoy 100% match up bonus up to £50 as well as 50 free spins on DaVinci Diamonds for the first deposit. The second deposit comes with 150% match up bonus up to £150 while the third one attracts a 50% match up to £300. 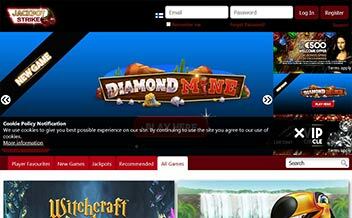 Additionally, 2nd and 3rd-time players get 25 free spins on DaVinci Diamonds. The Casino also runs promotions every once in a while. So, be sure to check out the promotions section regularly. Jackpot Strike Casino offers players one of the most thrilling and rewarding slot games that are developed by renowned developers like Microgaming, NetEnt, NextGen Gaming, among others. Some of the popular slot games include Cleopatra, Gonzo’s Quest, Medusa II, Dracula, Foxin’ Wins, among others. The Casino has a variety of table games on offer for table game enthusiasts. These games are provided by the various gaming developers and are all tailored to meet the needs of the vast market. Some of the games include French Roulette, Red Queen Blackjack, London Roulette, among others. Jackpot Strike Casino offers a limited selection of video poker games for players. However, the few available video poker games are worth your time. Developed by the renowned Microgaming and NetEnt, some of the video poker games available include Aces and Eights, Jacks or Better, and Deuces Wild. 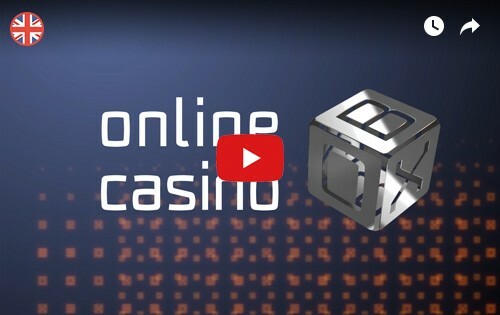 The Casino is powered by some of the most popular software developers in the online gambling –to-navigate website. Some of the developers include NetEnt, Microgaming, NextGen Gaming, IGT, Realistic Games, Williams Interactive, Aristocrat, Lightning Box, Blueprint Gaming, and Big Time Gaming. The United Kingdom, Sweden, Australia, Germany, Ireland, Canada, Netherlands, Norway, Kenya, and New Zealand.  Bank Wire Transfer, Neteller, Visa Electron, Paysafe Card, Skrill, Maestro, Solo, Mater Card, among others. 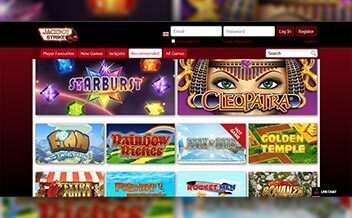 Jackpot Strike Casino runs on some of the most popular web browsers like Opera, Mozilla, and Chrome. The Casino is also available on both instant play and mobile devices which renders it convenient as players can enjoy their favorite games from anywhere. The Casino is definitely a great place to enjoy an assortment of thrilling slots while still increasing the chances of winning big. The Casino is designed to enhance the player’s experience while in the Casino. The mobile version allows players to enjoy their favorite games from anywhere. This, coupled with a strict client information protection system and professional customer support team make the Casino an ideal haven for all your online Casino gaming needs.